Will An FAQ Page Help My SEO Efforts? We've seen this question pop up a few times recently. 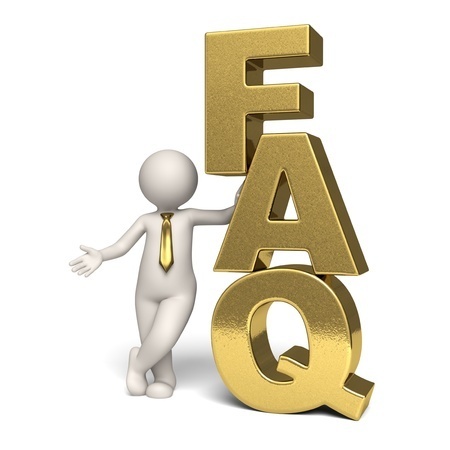 Short answer: maybe, but first and foremost FAQ pages should be created to help visitors. If you go into writing a frequently asked questions page with the intent to build rankings, you'll probably compromise helpfulness for rankings even if you don't notice it. The general rule in creating optimized pages is to stick to one major topic. Search engines want to understand what the page is about so they know how to index it. If you talk about all sorts of things, it may not be clear to Google what to make of the page. Since FAQ pages by their nature talk about a variety of different topics and questions, it's going to be weaker SEO-wise than any of the singular product/service pages on your site. It can help to reinforce the general industry you work in, though. Let's use an example to break that point down further. Say you're a home renovation company. Maybe you do custom closets, kitchen remodels, and bathroom remodels. Your bathroom remodel page, if it's well optimized, will advance your rankings for bathroom remodels more than most other pages on the site since that topic is central and grabs the focus of the page. You might have questions like "How long do bathroom remodels take?" on your FAQ page, but it will be surrounded by other questions about closets, budgeting etc., so when search engine crawlers explore that page it won't be as profound of an association with bathroom remodels for your site. If your site is lean on content, the FAQ page can reinforce these services merely by being another place they're discussed. However, I'll reiterate that if your goal is to build rankings for bathroom remodels, for example, you'd be better served to create additional content pages/posts specifically about that from different angles. An FAQ page is best served as something people find and read while already on your site and not so much as an entrance page. Did you find this useful? Read more articles on SEO tips here! design|One|web > Frequently Asked Questions > Will An FAQ Page Help My SEO Efforts?